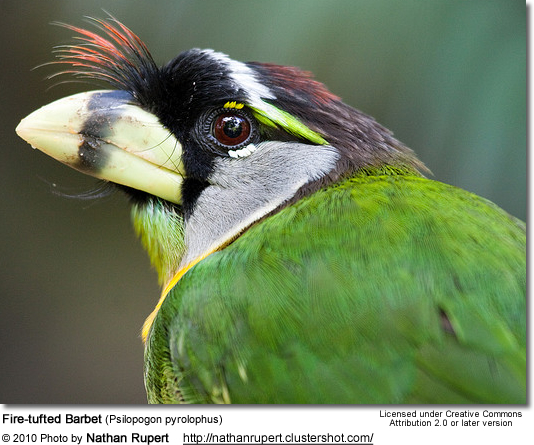 The Fire-tufted Barbets (Psilopogon pyrolophus) are endemic to Indonesia, Malaysia and Thailand, where are found in mountain forests, along forest edges and in mature second growth forests. 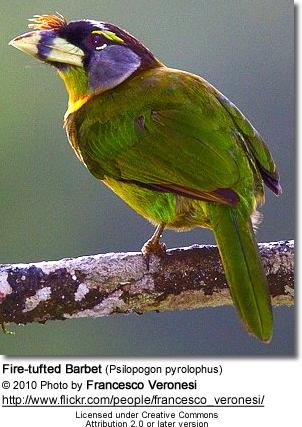 They are common seen alone or in pairs or small family groups high up in the canopy and mid-level. They prefer dense foliage. They roost in tree cavities. This species is reported to be uncommon to locally common (del Hoyo et al. 2002). 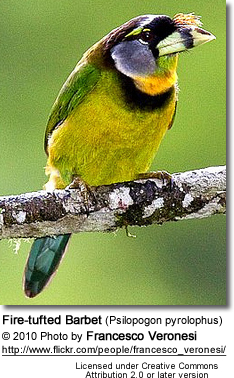 Its population is suspected to be in decline due to habitat destruction. They average 30cm in length and typically weigh between 115-139g. 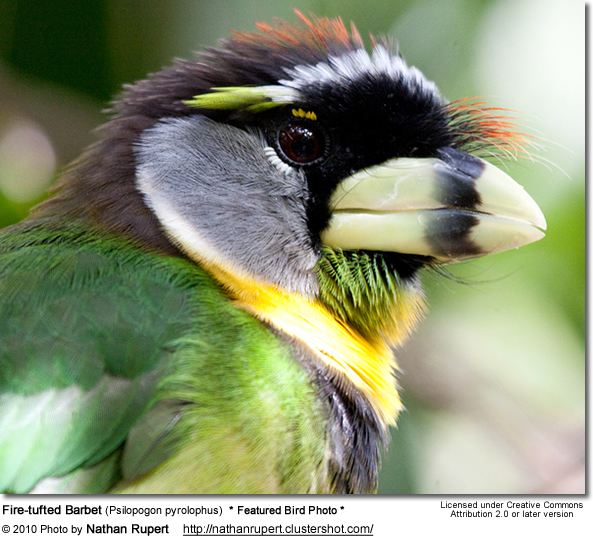 They are strikingly beautiful birds with a flashy "fire-tuft". Sexes look alike, except that females lacks the crimson on the crown, which is replaced with a sooty coloration. Young birds are generally duller. 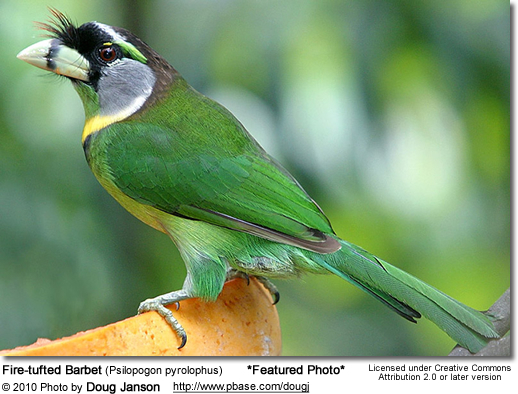 They primarily feed on fruits, particularly figs, but will also eat some insects. They typically breed from February to April. Both parents excavate the nest in a dead tree or limb. The average clutch generally consists of 2 to 4 eggs, which are incubated for 13 to 15 days. The chicks are raised by both parents and fledge when they are about 40 days old. They continue to be fed by their parents for another week or so. Their distinct call that sounds like cicada.